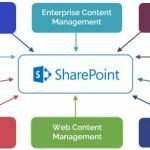 Sharepoint online training by bigclasses.com teaches you how Enterprise Search is a way to get the data from the system with the help of a single query search? These applications design to gather the data from any of the source like document management system, file system, intranet, database, email etc. The enterprise search comes from the search industry. According to users need it provide the useful content in instant time from the all data source available in the organization and it is primary focus of any search engine. It is very helpful for records management, workflow and document management in the company. Share Point 2010 search provides the solution to find the useful content needed by the users. It contains some useful features and it is like a combination of relevance, refinement, and people search. With these facilities the search is highly efficient, effective and personalized. There are so many benefit of this application during searches Data Found Efficiently, People Search Facilities, Customize the Search Result.